In December 2019 expires the agreement on natural gas transit through the Yamal Pipeline between Russia and Ukraine. 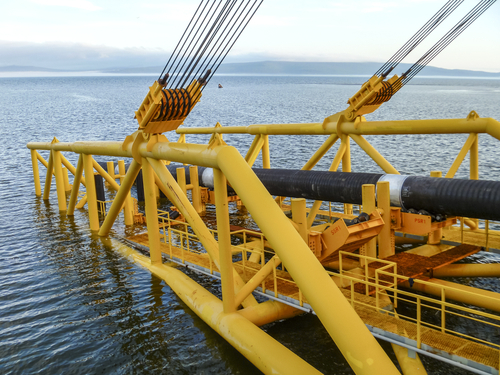 Almost concurrently the Nord Stream 2 pipeline – a joint Russo-German venture in which French and Dutch companies have a stake – is slated to be completed, which in combination with Nord Stream 1 will have a comparable capacity to that of Yamal. Thus Ukraine – but also Belarus and Poland – may be put out of the transit business with the conniving of Ukraine’s European Union partners. Factual information1)Ukraine–Nord Stream 2: Struggle Over Gas Transit, Warsaw Institute 2019-01-15; Ukraine has made great progress in reforming the gas sector – but its fate still hangs in the balance, energypost.eu 2018-08-10; Russland droht Europa im Streit um Nord Stream 2, Handelsblatt 2019-02-12. (i) In the years 2011 and 2017 Russia transited between – approximately, in round numbers – 50 and 105 billion cubic meters (bcm) of gas annually; both Nord Stream pipelines have a combined capacity of 110 bcm, so theoretically Yamal can be abandoned altogether. 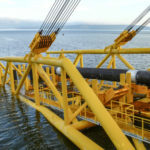 (ii) Without Nord Stream 1 and 2 Ukraine and Russia could hold each other in mutual check: Moscow could not transit gas through Ukraine to Western Europe without having to acquiesce in Kiev’s demands; Kiev would have to be supported by the European Union because its member states would depend and the transit for gas. (iii) Ukraine receives a considerable amount of transit fee, which replenishes its budget and provides funds for maintenance of the pipeline, so that too low revenues from it will make it hard for Kiev to operate its stretch of it. (iv) Moscow does not want to have a broker in its dealings with the Western business partners and especially does not want to finance in this way Kiev’s policies that are hostile to Russia. (v) Similarly, the United States does not want to continue in the capacity of Europe’s military defender against Russia, seeing that American European allies are financing the Russian armaments by buying Russian gas. (vi) The Western European countries – also known as the old union – want to act as sovereigns in making business with Russia and are sensitive to any attempts from the United States that might constrain their freedom. (vii) Although Ukraine has considerable gas deposits of its own, they are insufficient to meet the country’s demand. Kiev is forced to purchase Russian gas and does it through Western intermediaries. (viii) Poland, Belarus and Ukraine feel sidetracked by Moscow and some of their Western partners, and so these countries have raised objections to the construction of Nord Stream 2. Yet, though the European Union is supposed to act in the interests of its all member states, Germany, France and the Netherlands care more about their own interests, using Ukraine’s economic and political instability as a pretext for wanting to bypass this country in dealing with Russia. (ix) Kiev argues that it is in the interest of Western Europe to prevent the Yamal Pipeline from falling into disuse on grounds that it is the only alternative to Nord Stream 1 and 2 in case a failure or necessary repairs necessitate forgoing them for a time. (x) The European Union may be imposing and annually renewing sanctions against Russia, yet its main players – Germany and France – are doing business with Moscow as usual. No one in his wildest dreams can imagine that the Nord Stream 2 project will be stopped months short of completion due to protests raised by second-trier EU member states. (i) Having a gas supply independent of its transit through Ukraine, the European Union’s interest in this country will significantly diminish. Kiev is certainly losing some of its leverage on the political stage. (ii) American pressure on the EU will continue2)USA wollen Pipeline Nord Stream 2 stoppen, Zeit Online 2018-11-13; US-Botschafter schreibt deutschen Firmen Drohbrief, Zeit Online 2019-01-13. but will remain futile, even though the United States might resort to measures similar to those applied against Chinese Huawei. Washington can only count on East European EU member states which feel bypassed. (iii) Though the European Union and especially Berlin has been heavily engaged in Ukraine’s domestic issues, it cannot be excluded that a deal has been struck with Moscow in which Ukraine has been assigned a supporting role. (iv) Even in the face of the flagrant disregard for Ukrainian interests demonstrated by Kiev’s Western partners, Ukrainian elites will continue to seek a closer alliance with the European Union. Perhaps that is one of the reasons why their aspirations have received little attention. 1. ↑ Ukraine–Nord Stream 2: Struggle Over Gas Transit, Warsaw Institute 2019-01-15; Ukraine has made great progress in reforming the gas sector – but its fate still hangs in the balance, energypost.eu 2018-08-10; Russland droht Europa im Streit um Nord Stream 2, Handelsblatt 2019-02-12. 2. ↑ USA wollen Pipeline Nord Stream 2 stoppen, Zeit Online 2018-11-13; US-Botschafter schreibt deutschen Firmen Drohbrief, Zeit Online 2019-01-13.